Ethan’s going to be playing Loki, a character so popular in Western folklore and culture that he needs little to no introduction. Scholars haven’t clarified exactly the relationship between the Aesir and this shape-shifting Jotun trickster deity, but the gods need him as much as they are infuriated by him. His ability to change gender, species, and size makes him able to solve as many problems as he causes. Though he’s known as the father of lies, he’s one of world culture’s favorite villains. 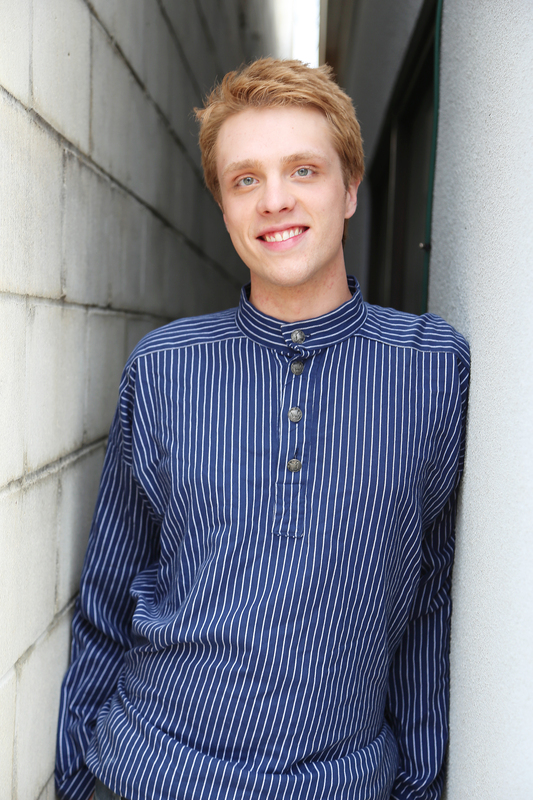 Ethan Bjelland, originally of Decorah, IA, is a freelance theatre artist and teacher and translator of Norwegian, Swedish, and Danish. Ethan has previously worked with Theatre Pro Rata as the Preacher in Elephant’s Graveyard in 2014. Other stage credits include The Drawer Boy, The Philadelphia Story (Commonweal); The Foreigner, Crazy for You!, This Untoward Generation!, Ichabod Crane… (St. Croix Festival); CRAZYFACE (Shadow Horse); If We Were Birds (Theatre 20%); Ghost Sonata, and From Darkness (nimbus). Well first, I was excited to work with Theatre Pro Rata again, as they were the first company I had the pleasure of acting with when I moved to the Twin Cities. So many incredible people, and some of my best friends so far in this area are so connected with TPR, that I couldn’t say no. As confessed, I have a dark, geeky passion for all things Nordic. When I was little, while the other kids were at Bible Camp and Band Camp, I went to Norwegian Immersion Camp. After 10 years, I still go back and work every now and then. Sometimes, all of the counselors dress up as Norse gods and goddesses and we have an entire day (sometimes three) in character. I’ve been known to play a pretty mean Loki. There’s something special about being able to troll kids in a foreign language whilst suited in motley that isn’t quite the same outside of Norwegian camp. I just picked up Aksel Sandemose’s classic novel and social criticism, A Fugitive Crosses His Tracks. Yoga/Pilates. Just a few sun-salutations and centering. There’s also a voice and enunciation bit that I like to run when I have a dialect or some tricky lines, called the Announcer’s Test. I haven’t looked in a while. It might be fun to check out soon, if not for the “Oh, that’s where that went!” -factor. Want to know how you can be part of this project? You can help all of our artists and make our podcast available for free to everyone by contributing to our Indiegogo campaign. Join us!